The class advancement of the character, 「Jin Seipatsu」 is implemented. The graphics (design) of 「Disorder’s Disaster (Iris)」 and 「Disorder’s Rampage (Jin)」 were changed. As announced on May 24 (Thursday), the set effect of the following accessories were changed. The Primal and District Raid were improved. Primarily the gimmicks and drop contents were changed. You will now be able to attack during dash-jump in Mazes. EXP gained from enemies in Ruin Fortress Mazes is increased by 10%. We were planning to apply partial improvements for Client Crashes but, we had encountered problems so the application of aforementioned improvements were postponed. ・ The damage of some attacks in 「Altar of Void」 has been changed since the June 28 (Thursday) maintenance. ・ There are unusable blueprints that are dropped in 「Golden Citadel」. ※ Please wait as we are planning to fix the unusable blueprints. ・ The cooldown of Stella’s Skill 「Bounce Wave」 is incorrect. ・ The Bank Warehouse and Discard options of the China Avatar Package, and some Avatar Packages are incorrect. ・ Since the April 12, 2017 (Wednesday) maintenance, some items that you can obtain from 「The Thing」 have been changed. ※ Regarding this problem, we are trying to fix it. ・ The Cinema Talk UI may not be displayed normally. ・ Some of Haru’s and Stella’s Voices are not played. ・ When you use a normal attack the moment you get up from a down state, the attack motion may become abnormal. ・ The 「Meat」 item drops from Glutton. 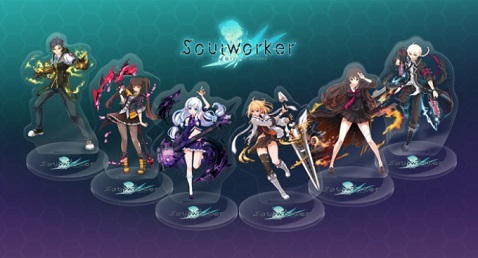 ※ Since the Bistro Soulworker Event has already ended and this item no longer has any use, please sell it to the NPCs, or discard it. ・ When opening the Soccer Tournament Support Event UI, the message 「There is no event being held」 will be displayed. ※ This will not affect the event progress. ・ Since the June 28 (Thursday) maintenance, the profile image of class-advanced Erwin has been changed. After the June 28 (Thursday) maintenance, the 「Märchen」 Series will be available for purchase for a limited-time. 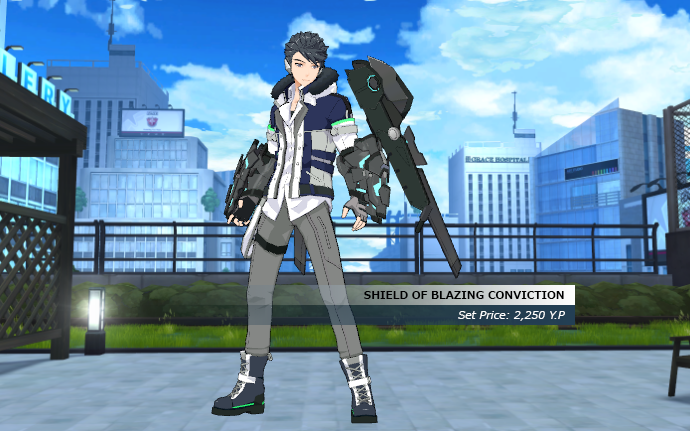 The Item Mall-exclusive original color version of 「Shield of Blazing Conviction」 Avatar will be available for purchase. When wearing the Transparent Avatar, the female characters will look as though they are not wearing an avatar (default no-avatar look), and the male characters will be seen in their underwear. 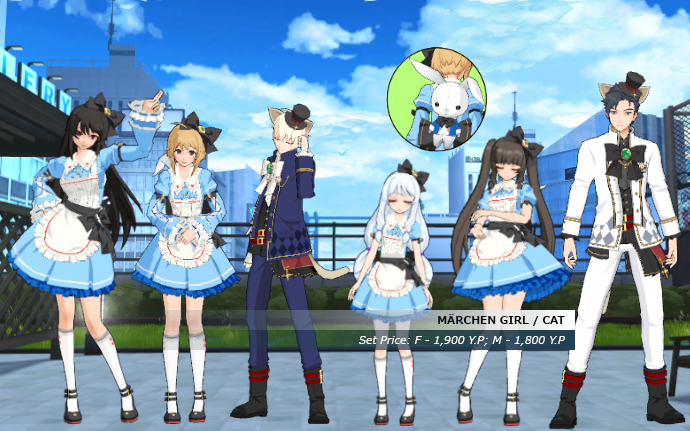 ※ Even if the Transparent Avatar is worn, the female characters will not be seen in their underwear but, it will display a default no-avatar look. ※ If the male characters are not wearing an underwear, it will display a default no-avatar look. After the June 28 (Thursday) maintenance, the 「AR Card Packages」 will be available for purchase at a discount for a limited time. From July 01 (Sunday), 13:00 JST, the 「[Limited-Time] July Item Package」 will be available for purchase for a limited-time, containing 「Bonus Card Keys」.